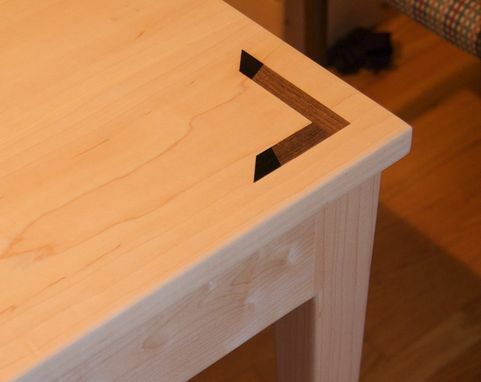 Hard Maple with Black Walnut and Ebony inlay. 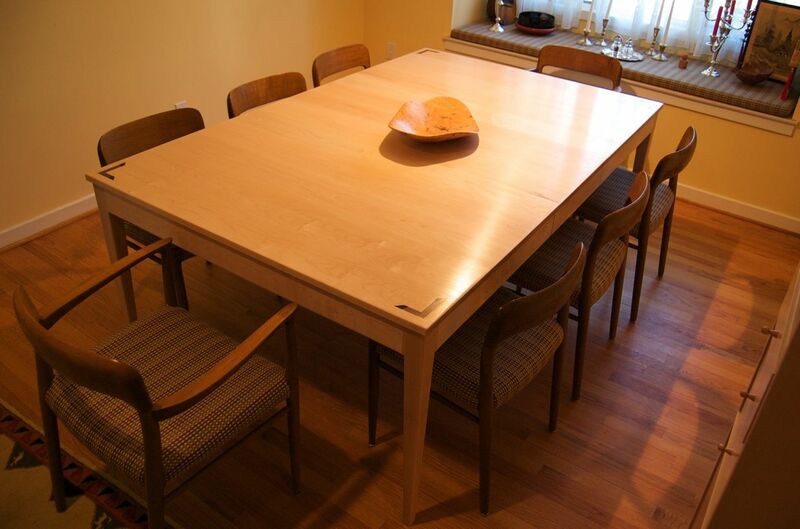 Table was designed for clients who wanted a new dining table with maximum seating for their space and in a style and wood tone that worked with their Danish Modern chairs and other pieces. 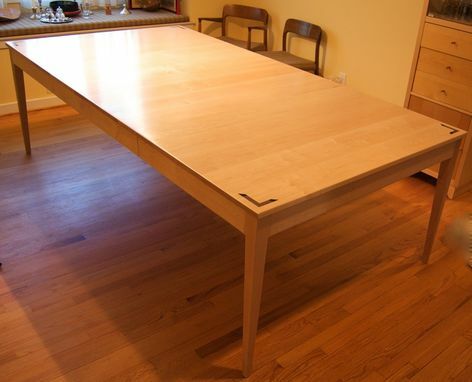 This led to a minimalist table (other than the corner inlays) with Scandinavian lines and a very slight table top overhang to allow for the most seating possible. Designed for two 18" wide leaves. The photo with centerpiece and chairs is with a single leaf in place. The other photo is with both in place. Comfortably seats 10 with both leaves in place, 12 in a pinch. Dimensions: 50" w x 29.5" h x 60" - 96"